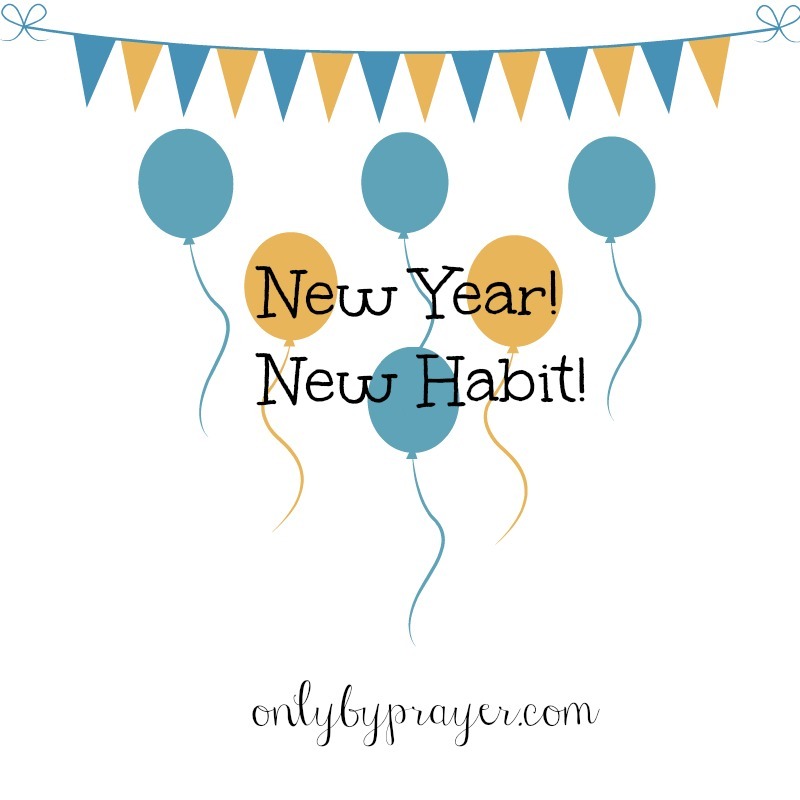 Welcome to OnlyBy Prayer’s week-long Bible reading plan to kick off New Year’s! Thank you for joining us. This week (Monday-Friday) we will read the book of James and then discuss our reading. It’s a simple plan, but it will help us start the New Year on a good note. Mary and I will add our thoughts on each day’s reading under the heading for that day. Please add your thoughts each day in the comment section. Feel free to respond to what other people have written as well. Ready? Let’s get started. We have been scattered so we can gather! Gather in at school, at work, across nations, towns and workplaces. God calls us to gather his people. While we are walking out our faith, we will experience trials. These trials contain gifts, blessings and that we must open our hands to receive (James 1:7, 12, 21). Some works of God in us will only be completed through trials. Trials are tailor made to benefit us not destroy us. This doesn’t mean the circumstances of our trials are good, but that God can work them to bring us good. Good from suffering. Good from pain. Good from desperate hurt. Hang on and hold out your hands. To thrive and gather through our trials we need wisdom, patience, love and faith. Ask God for these things and hold out your hands to receive them (holding out your hands day upon day upon week is an act of faith!). I am focusing on James 1:5-8. What stood out to me is that I don’t want to be a double-minded woman. A double-minded person constantly waffles back and forth between trusting God and then not trusting God. I want to have a steady faith that God will do what is best for me and His purposes. Part of trust is realizing that this can be different than what I think is best. Once I ask, I need to 1) trust and then 2) be content with whatever God’s answer is: yes, no, or wait. Sometimes I think that this issue is too trivial or I am too trivial to come before God for help. That is wrong. That is the enemy’s thinking, not God’s. The enemy plants the thoughts “Who are you to come before God? You’re not important enough,” or “You can handle that issue on your own. Don’t bother God with it.” Both are wrong. Nothing or no one is too small (or too big) for God to handle. He wants us to come to Him. He values each one of us so much that He sent Jesus to die for our sin. Don’t let the enemy rob you of taking your concerns before God and seeking His wisdom and help. He will answer. Partiality is always under-girded by a lack of mercy. Partiality shows a lack of wholeness. We don’t whole-ly love others because we don’t whole-ly love or trust God, who is the God of mercy and grace. Souls of others are won by mercy and grace. No one has ever come to Christ through the condemnation and scorn of another. Faith is for EVERYONE. So what am I doing to get it to everyone? The poor, the dirty, the sick, the homeless … in Jesus own words the CHOSEN. Chosen by God to inherit His grace and peace and love. So what am I doing to get this good news to EVERYONE? Because believing requires doing. working. giving. sacrificing. There can be works without faith, but there can be no faith without works. The hardest thing to tame on earth is not and eagle, a lion or a bear; man can tame all these things. The un-tameable creature is the tongue. So powerful and potentially destructive only God can tame it. And we need him to. Why? Because our words direct our actions and ultimately our destiny. How does God tame the tongue? Through His Word. His Word can change our words. Jesus is the Word. In the beginning was the word. The word was God and the word was with God. If we want a changed life, we must have changed words. Remember, God used words to create. We have the choice to use our words to create or destroy. 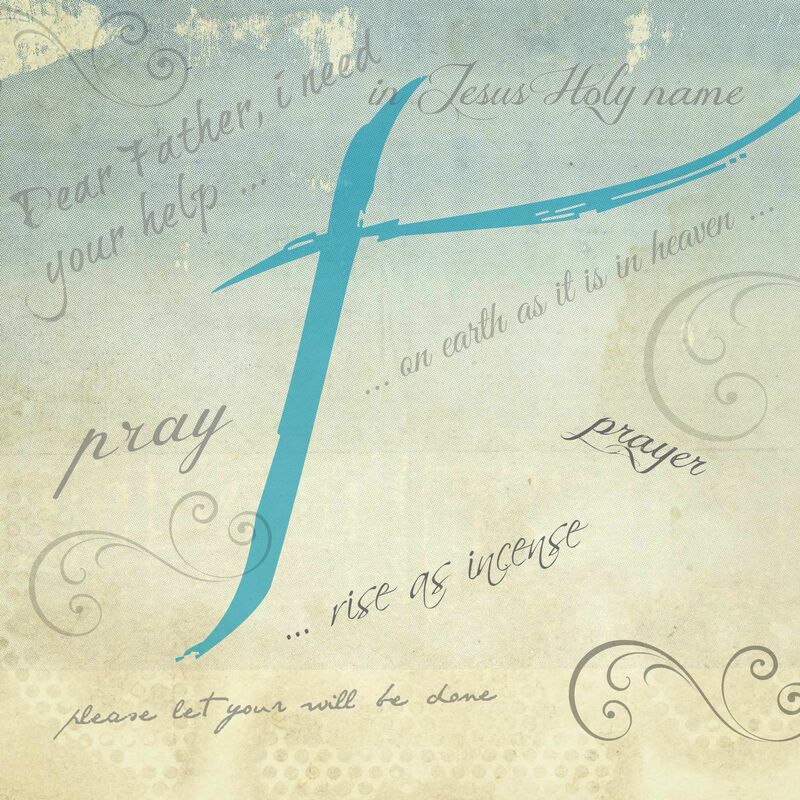 The more I am in the word, the more his word will be in me, creating, remaking, healing, restoring. Why do our riches, gifts and talents get rusted and moth-eaten? Because of lack of use. The other day my husband told me he was rusty at his guitar playing. It had been a while since he had strummed his 6-string. He was rusty and it was hard to get going again. Same thing with our gifts and talents. We try to save them for ourselves but when we do that, we end up losing them. We must use ’em or lose ’em. Our clothes get moth eaten and our food gets moldy while the world shivers and starves. We have a choice according to James 5, we can fatten our hearts or establish them. We are so afraid of suffering. A little pain, a little sacrifice so we store everything up for ourselves. What about Job? Have we suffered as much as Job? For most of us, not even close. He suffered much and was able to endure. I can too. I can endure not having another dress, another gourmet meal, another Starbucks. I can give a little so another can be warmed and be filled. Prayer is empowered by the Holy Spirit. 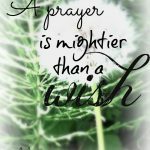 It is God’s power infused in our prayer. So this means that this is relationship-based prayer. We have to be Christ followers before we can be filled with the Holy Spirit. This type of prayer should be the norm for all believers, not just pastors, or apostles. or prophets. Our prayers when energized by the power of the Holy Spirit, cause things to happen. Amazing! We can always plant a prayer in another person’s life. Let’s be prayer planters today!